Please note the Aga Centre Lincolnshire previously based in Lincoln has now closed permanently. Cooks & Company is now the official New Generation AGA showroom replacing the Lincoln AGA Shop. 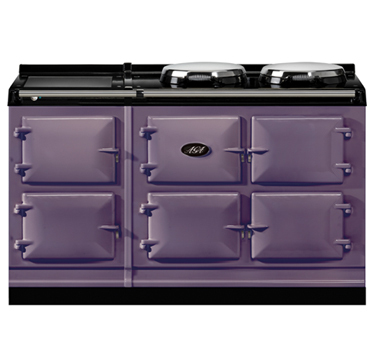 Join us in store and let Penny Zako demonstrate the versatile AGA to its full potential. See how you can prepare breakfast, lunch, dinner, snacks & desserts on your AGA. 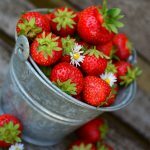 Penny will also explain the huge benefits behind the AGA Cookware and give you helpful hints and tips on how to achieve fantastic results as well as have fun with your AGA. £35 p/p person (£45 for the Christmas event) payable in advance. This will be refunded upon purchase of an AGA on the day. The price includes refreshments throughout and also you will have chance to sample the meals prepared as well as discuss recipes with Penny and any potential AGA/Cookware sales with our staff. To book please call Iain Moulds on: 01636 593919. Or please use the form on the right of this page. 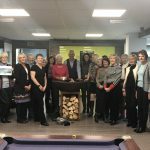 We are thrilled to have the only official new generation Aga Centre in Lincolnshire. 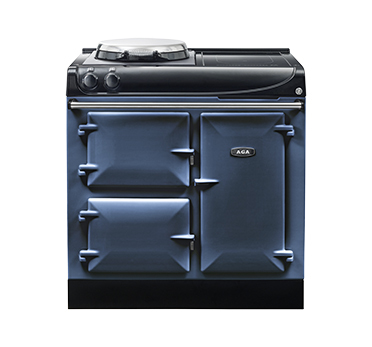 Please visit our showroom and see working models of the DC5, TC3 & AGA60 as well as non working AGA S-Series & Masterchef models. 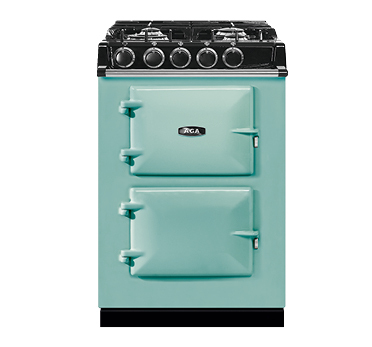 We also have a comprehensive display of official AGA cookware. 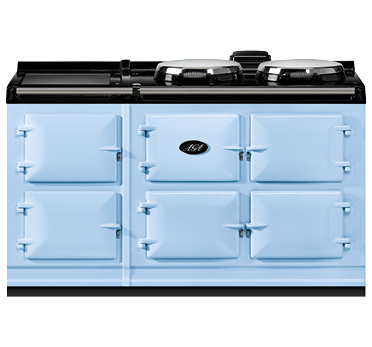 The AGA Dual Control looks much like a traditional AGA cooker and – just like the traditional model – the cast-iron ovens are always available for use, creating that indefinable AGA warmth. Available in 3-oven and 5-oven models and in electric, or with gas ovens and electric hotplates. What’s more, the two hotplates can be turned on and off independently. This means you can make a reduction in the overall heat input into the room from the cooker when desired and, in turn, reduce running costs. The boiling plate and simmering plate can be operated at the turn of a switch via the discrete control panel and so are on when you need them and off when you don’t. 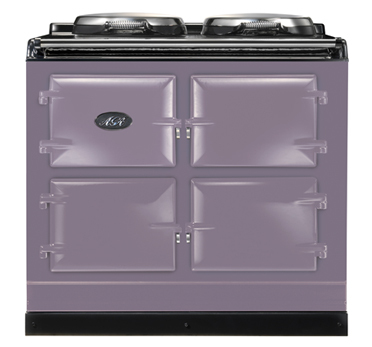 The new electric AGA Dual Control is everything you love about the AGA cooker, but with added flexibility and much reduced running and servicing costs. However, with an AGA Dual Control the ovens feature a new low heat setting and can also be switched off completely. What’s more, the two hotplates can be turned on and off independently. This means you can make a reduction in the overall heat input into the room from the cooker when desired and, in turn, reduce running costs. Discreetly housed behind the top left door, the nerve centre of the AGA Total Control cooker can be accessed directly or programmed via a remote control handset. Using the control panel, the hotplates and ovens can be turned on manually when needed. It’s so flexible – you can heat only one hotplate or both. 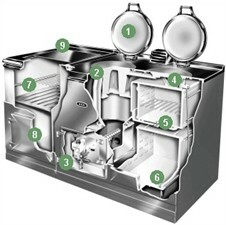 You can opt to heat only the roasting oven, the baking oven or the simmering oven – or all three. At the hea rt of the electric AGA Total Control cooker is a touch-screen control panel which puts you in charge of how and when the cooker is used. 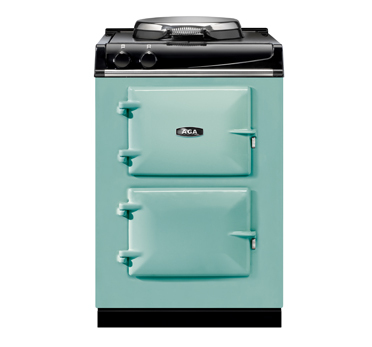 The AGA 60 couldn’t be easier to use. With one control knob for the hotplates and another for the ovens, the cooker has been designed with simplicity in mind. 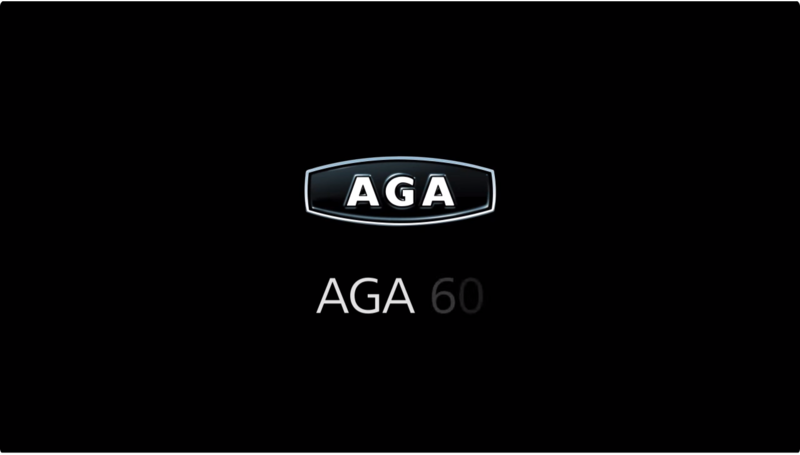 The AGA 60’s roasting/baking oven can be programmed and can have up to three events programmed per day*. They operate using a timer similar to that used for controlling a central heating programmer. This means the ovens can be timed to come on and ready to cook when you are. 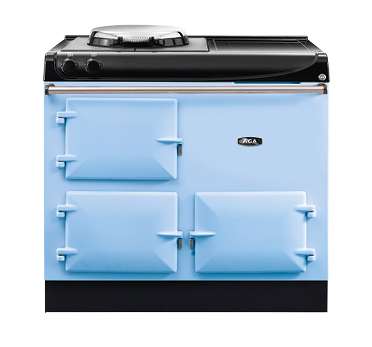 The AGA cooker is a heat storage stove and cooker, which works on the principle that a heavy frame made of cast iron can absorb heat from a relatively low-intensity but continuously burning source, and the accumulated heat can then be used for cooking. 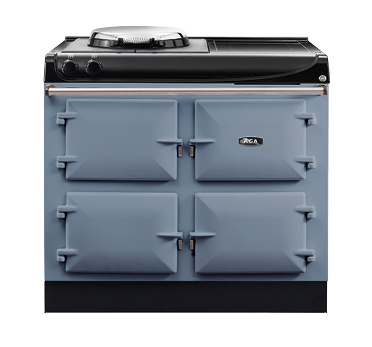 Originally heated by slow-burning coal, the Aga cooker was invented in 1922 by the Nobel Prize–winning Swedish physicist Gustaf Dalén (1869–1937), who was employed first as the chief engineer of the Swedish AGA company (Swedish Aktiebolaget Svenska Gasaccumulator, English Swedish Gas Accumulator, Limited). The cookers were first imported to Britain in 1929, and were first manufactured there under licence in the early 1930s. The cast-iron parts were first cast at the Coalbrookdale foundry in the 1940s, where they are still made by the Aga Rangemaster Group. 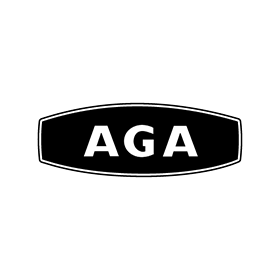 AGA /ˈɑːɡə/ is an abbreviation of the company name, Aktiebolaget Gas Accumulator. 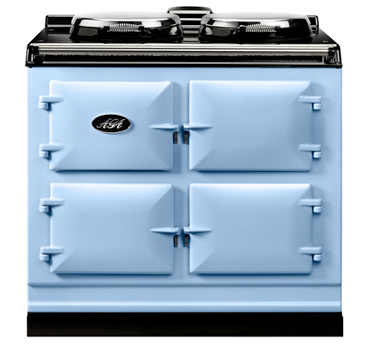 An AGA is always ready to cook instantly and there are no switches and dials because the AGA looks after itself. 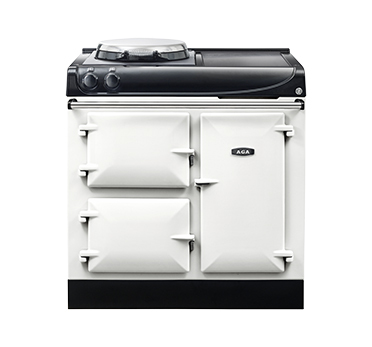 Thermostatic control maintains consistent temperatures while high levels of insulation within the outer casing and beneath the hotplate covers ensure that every AGA uses fuel economically. 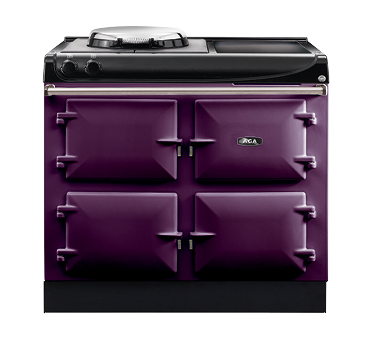 The AGA releases a unique source of gentle, friendly warmth into your kitchen. Within the ovens, heat comes from all surfaces simultaneously, ensuring a kinder, gentler cooking process without the fierce direct heat found in conventional cookers. Another benefit of this is that this cooking process preserves food’s moisture, flavour and, most importantly, goodness. 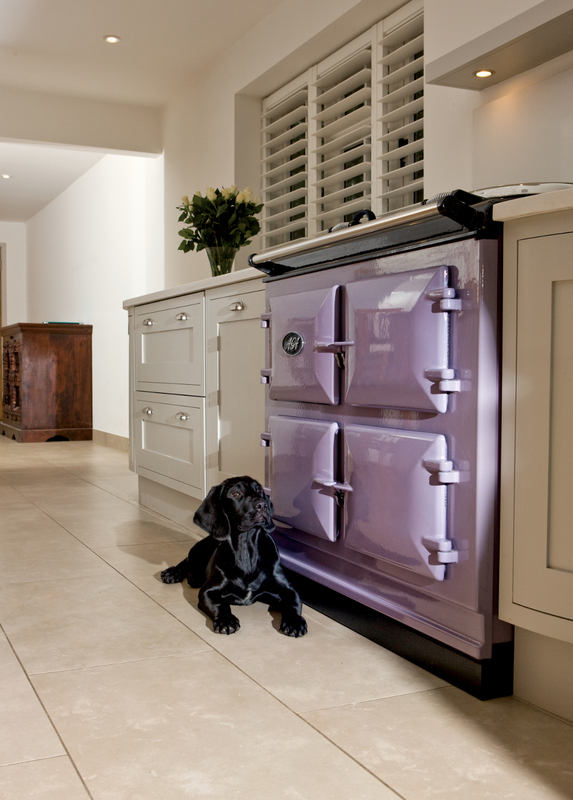 Ask any AGA owner and they’ll tell you that their food really does taste better and that they get brilliant results, every time. available until 13th April, 2019. New Cookers on order under this promotion must be installed by Friday 28th June, 2019.
model. 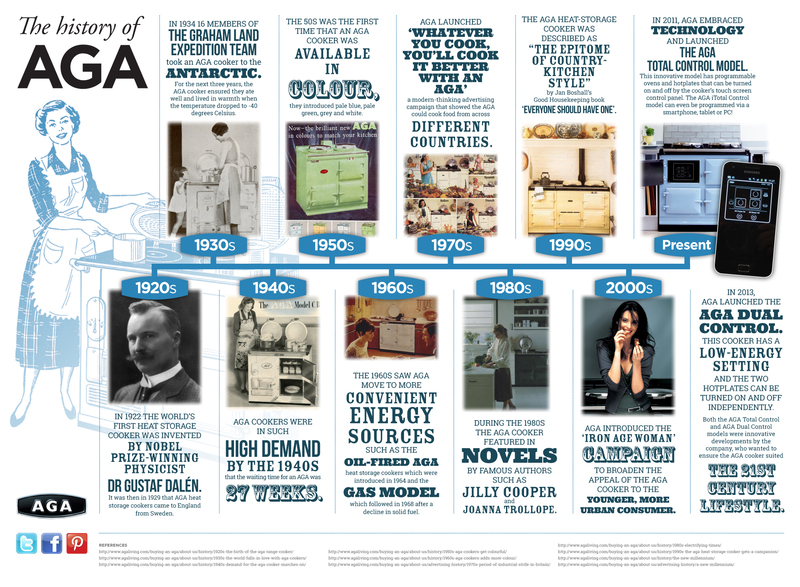 The offer excludes the AGA 60 gas hob models.